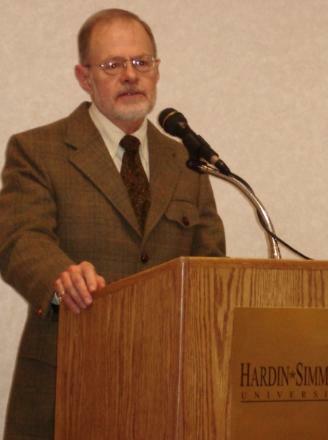 The 84th annual meeting was held in Abilene from March 29-31, 2007. Registration: Registration began at noon on Friday and was ongoing until 4:30 p.m. The first session began at 1:00 p.m. on Friday and concluded at 12:15 p.m. on Saturday. 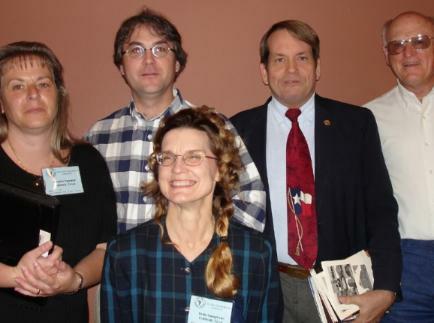 Program: Presented in 18 sessions were 48 papers and included the participation of members of the East Texas Historical Association, the Texas Oral History Association, and the Center for Big Bend Studies. Facilities: All sessions and the Saturday luncheon were held at Hardin-Simmons University. Tour of Frontier! Texas in downtown Abilene, from 9:30-11:00 a.m. Session 1C entitled, Young Historians of Abilene, 5th Grade AISD, was chaired by Rob Fink, Abilene, and was comprised of papers by Young Historian Presenters of the Abilene Independent School District. Dinner began around 7 p.m. Presentation: The evening program with guest speaker Clive Siegle began around 8 p.m. The Silent Book Auction hours ran from 8:00 a.m. to 11:00 a.m., with book pickups from 11:30 a.m. - 12:30 p.m. Session 4C entitled, The Charles Goodnight House - Interdisciplinary Student Involvement in Historical Research and Preservation was chaired by Tiffany Fink. Tim Chandler, Randy Armstrong and Tiffany Fink of Hardin-Simmons University presented the projects scope, how it began, and where it is going as well as insight into student involvement and how students are learning from the project. Lunch and Business meeting took place from 12:30-2:00 p.m. Out going WTHA President, Cheryl Lewis, presented, "A Century of History Yields Far More Then Railroads, Grain Elevators, and Pied Pipers." Baseball Game and Tour at Buffalo Gap began at 3:00 p.m.
Jennifer Spurrier, Troy Ainsworth, Holle Humphries, Jim Matthews, and Tom Alexander take time out following their session for a group portrait. Clive Siegle speaking at Thursday night's reception. 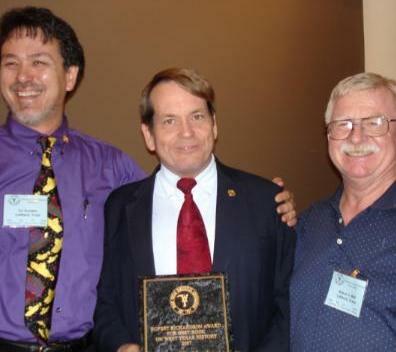 Tai Kreidler and Robert Hall present Jim Matthews with the 2006 award for best book on West Texas history. Annette Nall and David Murrah reminisce about the early history of the Southwest Collections Library at Texas Tech. 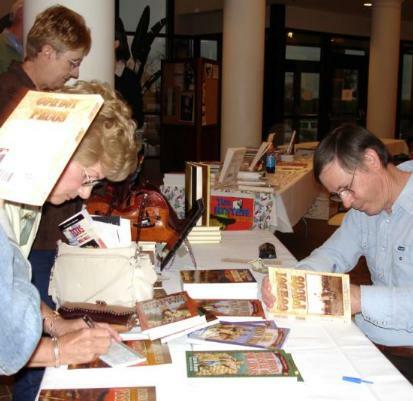 Author Patrick Dearen had numerous fans of his books stop by to get their personal copies autographed. More pictures from the 2007 meeting can be seen here. 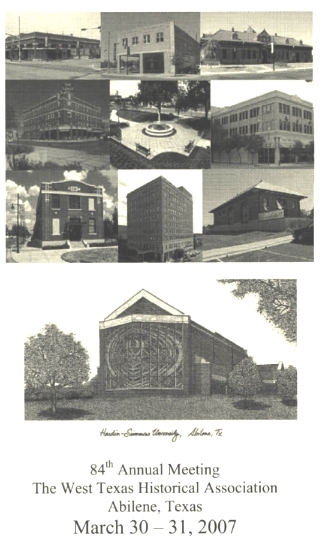 2007 program cover: The many faces of Abilene, Texas, are shown featuring the Grace and Hilton Hotels, historic Texas-Pacific railroad buildings, and Hardin-Simmons University, our host site for this year's WTHA meeting.